Orphaned Baby Squirrel Saw A Man. But What The Tiny Creature Did Next? Whoa, I Can’t Believe It! This Deadly, Invasive Creature Is Now In The U.S. Here’s What You Need To Know! This Dog Did The Most Heart-Breaking Thing When She Was Left Alone. One dog has suffers from a case of separation anxiety so severe that she once flung herself out a window to find her master after he left for work. Marcus Anderson, an L.A. resident, has said he tried everything to help his dog, Campbell. 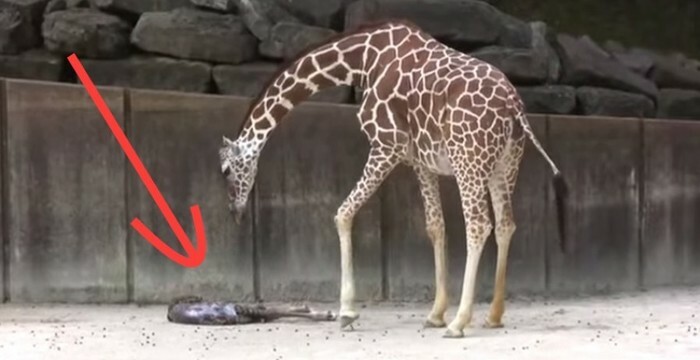 A Giraffe Does Something Miraculous Right In Front Of Everyone’s Eyes. Get Ready For This.